Jane knew from the age of six she was being advised by an inner voice. This could be somewhat disturbing to most children of that age yet she instantly accepted it and from then to now, as Jane is in her mid-fifties, the same voice has given her the ability to help, advise and steer people through times of adversity. She believes her lifelong religious faith also plays a huge part in her gift. People come to Jane from all walks of life. Anyone from international business people, actors, sports personalities and ordinary lovely people who have lost their direction or, have been dealt a major blow in life and need some assistance. 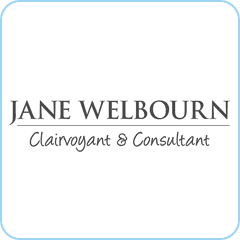 She works with those who are dealing with marriage problems, breakups, financial issues, ill health or death of a loved one. Sometimes they come simply to hear what “the voice” has to say to them.